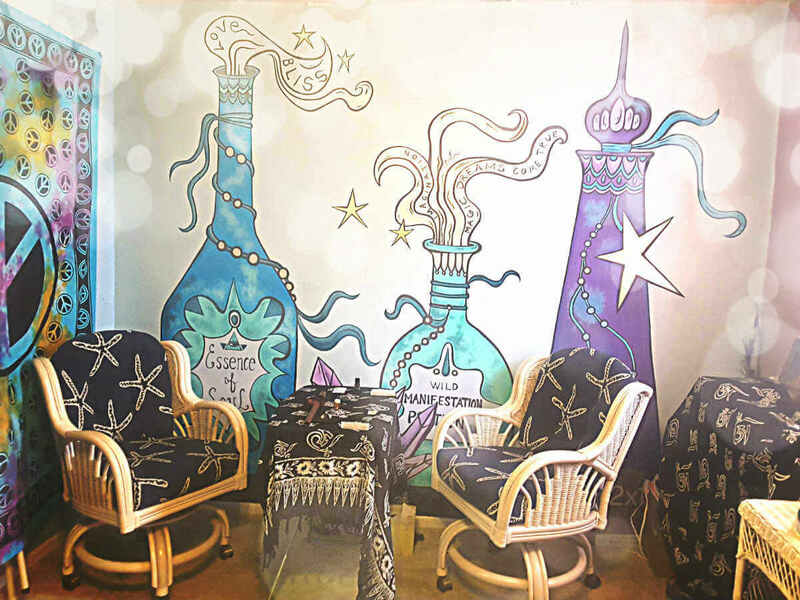 At Psychic and the Genie, we pride ourselves on knowing the metaphysical as well as the healing properties of the crystals, candles, salts, and essential oils that we sell. 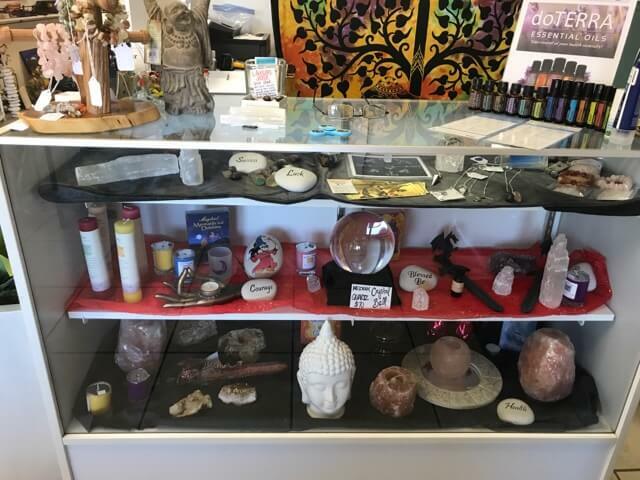 At our downtown Stuart, Florida new age store, you can get a psychic reading and shop a great selection of products that promote and enhance relaxation and well-being of mind body and spirit. 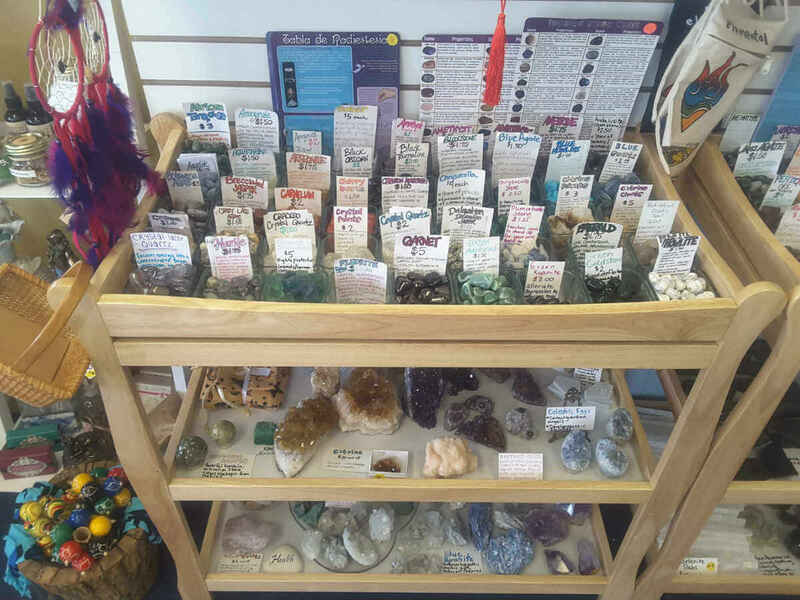 You will find an assortment of healing stones, pendulums & jewelry, charts, salt lamps, incense, candles, essential oils,& so much more. 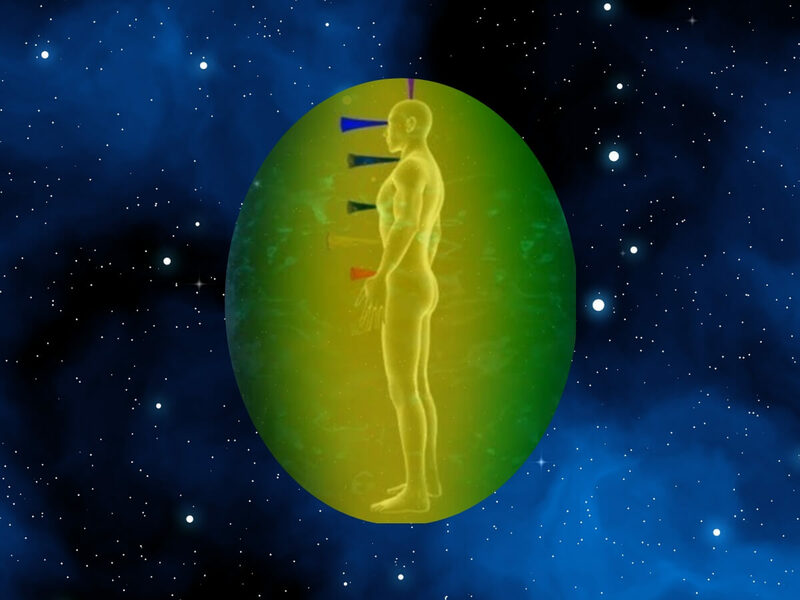 If you are looking for answers to your questions about relationships, love, career and more, Florida based psychic medium Chris Johansen is here to provide insight and help you accept control in your life. Chris also connects with your loved ones who have passed. 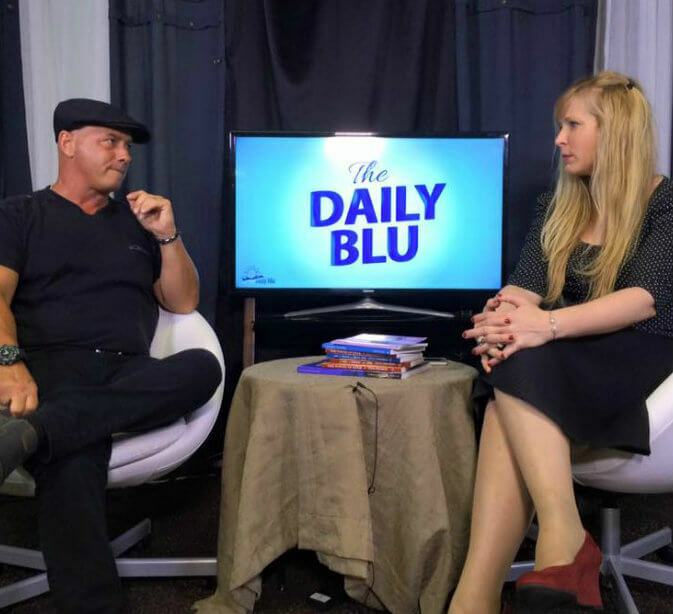 If you do not live locally in Florida, Chris offers readings around the world by Face-time, and Skype. Stop by our Downtown Stuart Location. 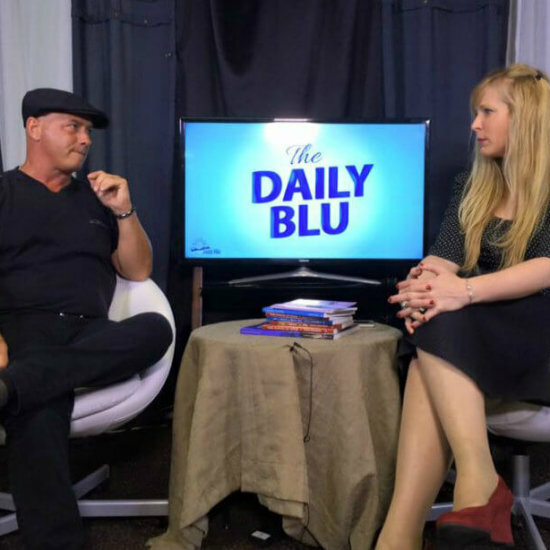 Christopher Johansen is a natural, third-generation Psychic-Medium, Paranormal Investigator, and Internet TV as Host of The Casper Paranormal View. Founder of the Casper Paranormal Research Team, Chris loves to help connect people to the ones that have passed. Chris also provides spiritual counseling to those who lost there way or may have question on moving forward. 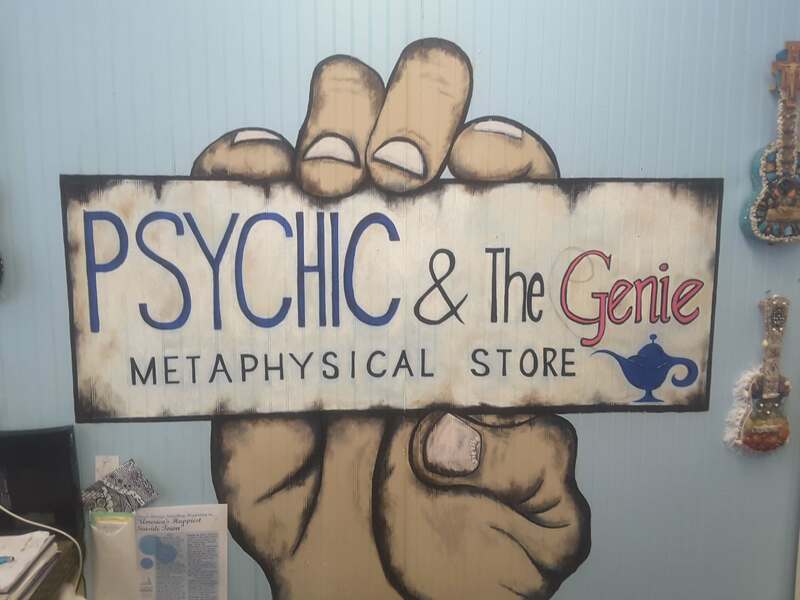 Theresa Macri recommends Psychic & The Genie 2. January 13 · I had a reading with Chris, which was very good. he is not flowery in his approach. he's solid. direct and pretty to the point in what comes through to him about you. I also have a reading set up for my mom and fiancee. as well as his law of attraction course. he mentioned the name Peter. and thinking of it now. could only be 1 of 2 things. I have a tattoo of a band who's lead singer was named Peter, or a guy I hung put with once years ago. he was very good a reading who I am as a person. the store had great energy and a positive staff. i liked it there. 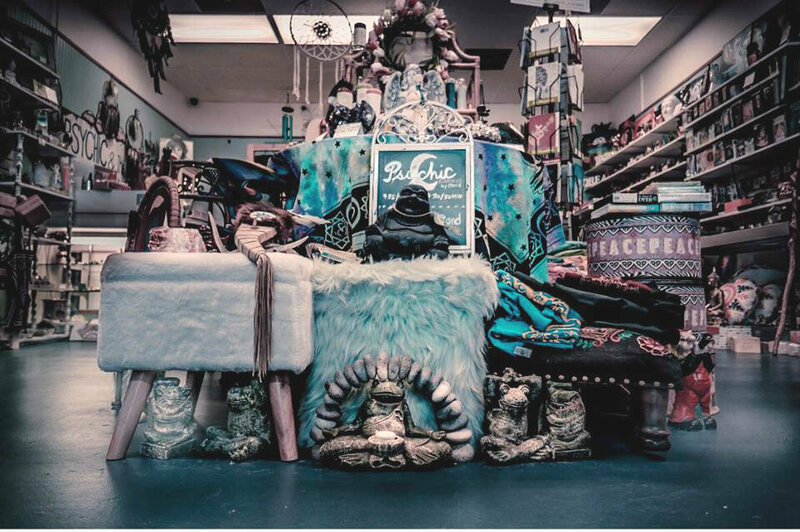 Jenna Morris recommends Psychic & The Genie 2. 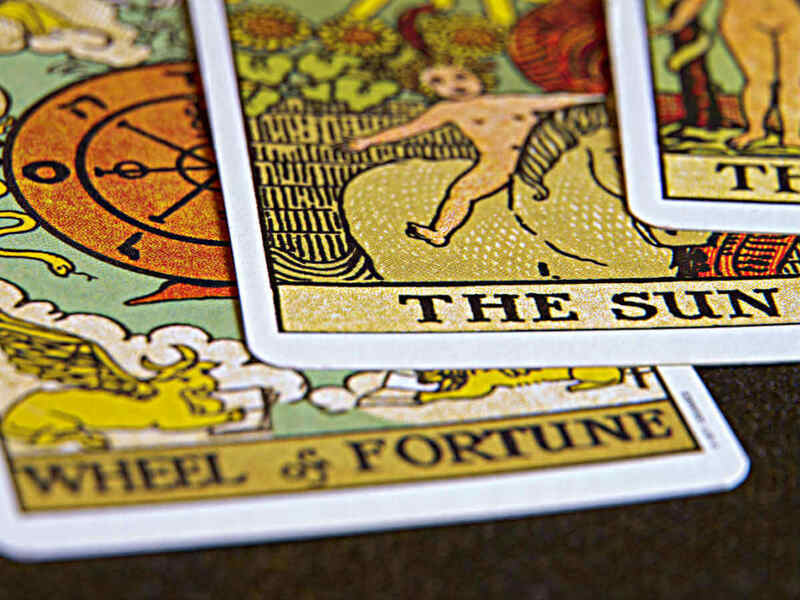 January 25 I have known Chris @ Psychic & The Genie 2 for many years and have had many readings. I had another reading this week and Chris was ABSOLUTELY SPOT ON!!!!! My family was dealing with serious legal matter and during the reading Chris mentioned that everything will be dropped. This morning we received a phone call from our Atty that everything was dropped and dismissed. This was amazing news, relief, and a blessing, just unbelievable. Chris is always, and I mean always correct. I highly recommend him because Chris truly has a special gift and he tells it how it is. He is genuine and the real deal. Definitely call him and book your reading if you are seeking peace, love, financial, relationship issues, employment, and just eveyrthing. Thank you Chris, I really appreciate you and happy to have you guide me when needed. Christina Peters WOW. what don't I remember! 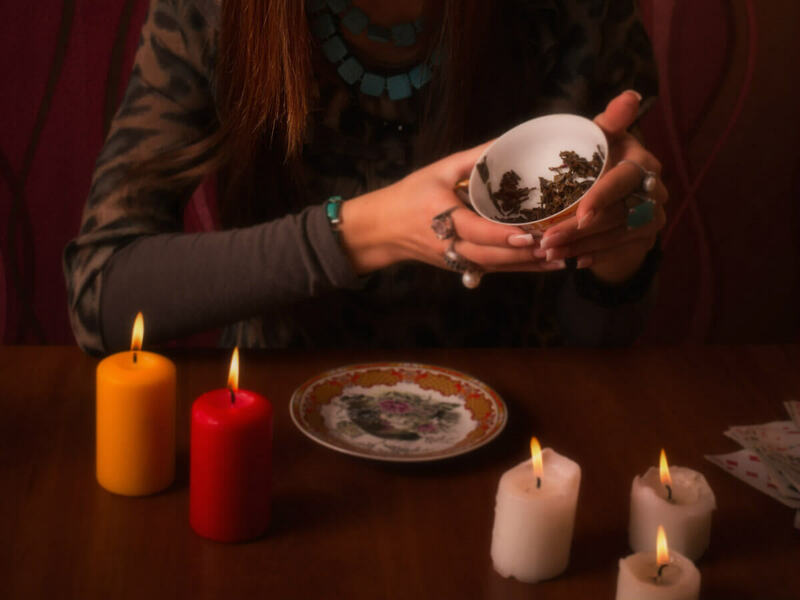 The experience is one you won't forget , if you choose to go to have a readin.I've always been very interested in the psychic world and everything to do with it. 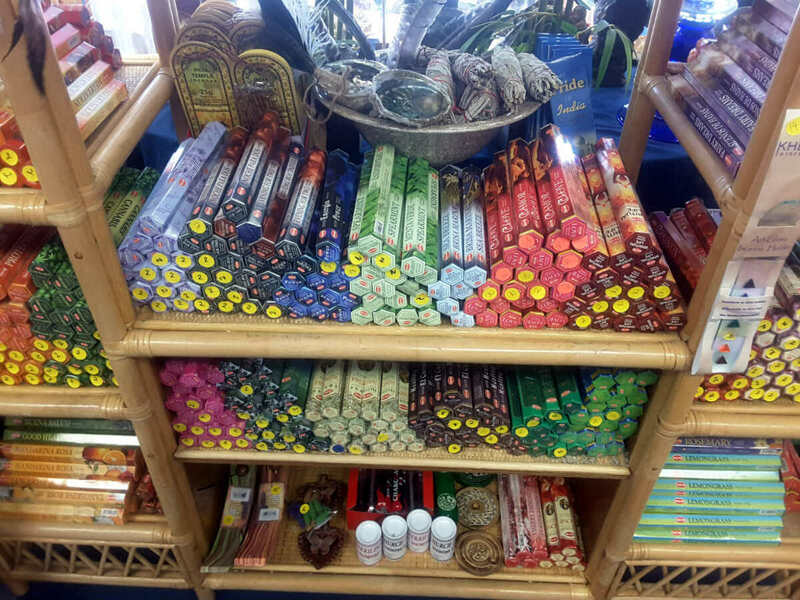 I entered a beautiful calm energy store. 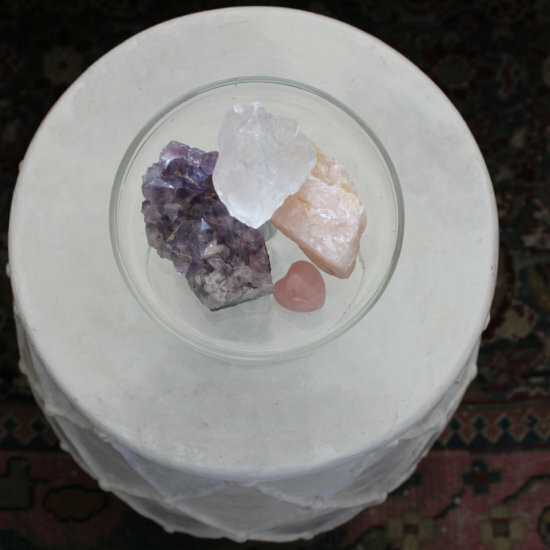 It felt so relaxing and the amazing stone's are beautiful as well as all the windcatchers.Then I entered the room for my reading, the feeling of calm good energy was overwhelming.As a young man approached me and introduced himself . Christopher is his name and the most thing you'll notice is all the bright light eliminating off him and a feeling of love and enlightenment within yourself. It's really indescribable! A gr8 positive welcome feeling comes over you. Im 48 and have been interested in the psychic part of it my whole life.And I can honestly say I can tell a real psychic from a fake. And Christopher is very blessed with God's gift of insite and the gift of calming you down and letting you see thing's that may help you in your life. Truly I've seen Siliva Brown & Jeff Wonds, and Joan Pipper in Casadaga. It's a psychic retreat area. 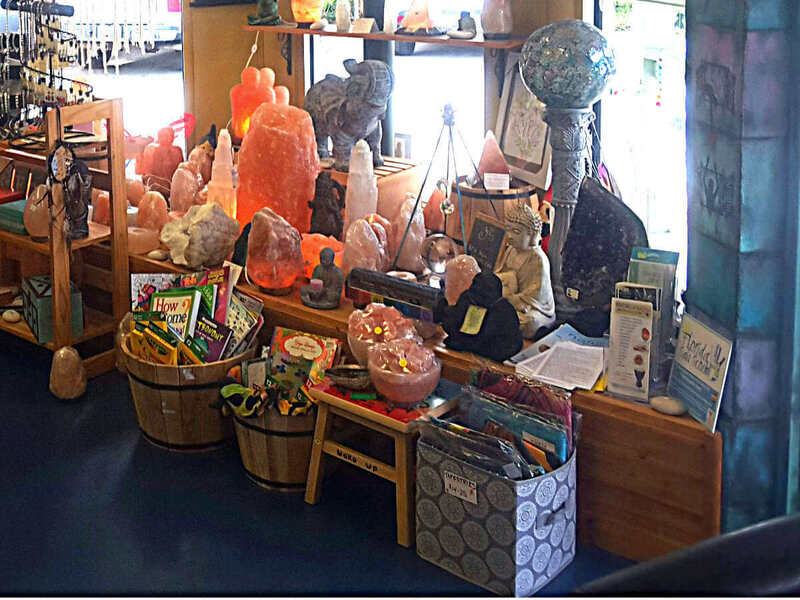 If you go to this store, be prepared to be enlightened with the positive energy all around you. Christopher told me thing's that no one in this world would know. My middle name he just said it , and said what does that name mean to me. 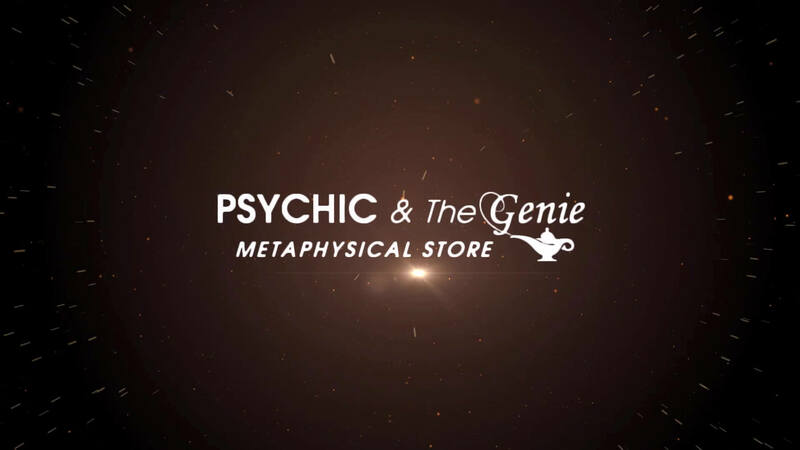 It's my Dad's mom's name.He didn't shock me cause I felt his energy!If the truth , and insight is what you desire, the psychic & The Genie is the perfect place to find all your looking for. 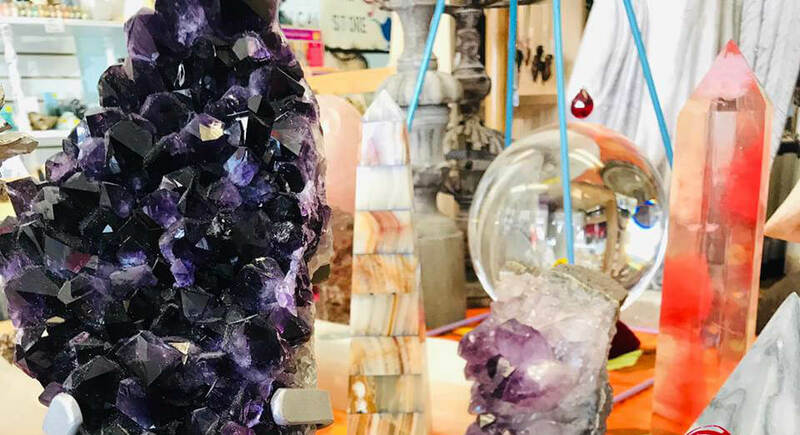 From the beautiful oils and stones , and windcatchers, and jewelry it is all very gorgeous, To the beautiful people that work there. Thank You Christopher for opening my eye's to thing's I really needed to see and be awear of in my life. LOVE,LIGHT, AND HAPPINESS TO YOU ALL! Well let's just say Chris read me like children's book. Barbara Bee Jeanne reviewed Psychic & the Genie '2' October 18 at 10:21am · Well let's just say Chris read me like children's book. � What a phenomenal creature, wow. I'm still in shock since this was my first experience with an authentic psychic.. and damn right he is the real deal! He saw me to my core. He gave me peace of mind and warnings where needed, and his personality is raw and charming. He doesn't sugarcoat and that's truly the best part. I WILL without a doubt be visiting him again. I am so grateful to have found him when I did. I'm beginning to believe all is happening as it should. Chris, I appreciate you and I consider myself extremely privileged to have had that short but wonderful encounter. As I said, I'll be bugging you again soon. Thank you, from my whole heart, mind, and soul. Chris just "gets" me. I've had two readings with him and he's been pretty spot on about a lot of things in my life. His guidance has also helped me to understand the concept that we can still change our own destiny, something I wish I had known fully years prior. Chris will amaze you with his amazing, insightful gift!